We do business in a results-oriented world. Our focus on growth is laudable for its clarity, but one of its downsides is that firms can lose sight of the process: how business gets done and the individuals or employees through whom results are achieved. This leads to compromised decisions and unethical behavior. It is not just what we accomplish that matters but also how we accomplish it. 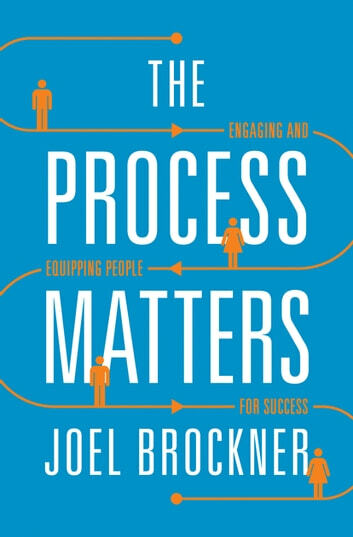 In The Process Matters, Joel Brockner shows that managers have to do more than just meet targets and goals. They have to reach those ends in the right ways—with input, consistency, and accountability—if they want to effectively lead and manage in their organizations. Brockner discusses what goes into the right process, how it leads to better outcomes, why it is easier said than done, and how to overcome obstacles along the way. 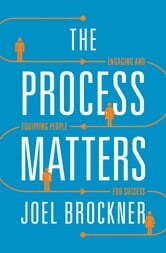 Brockner demonstrates that a high-quality process often costs little and may not even require a great deal of time. In light of these facts, he considers the puzzling question of why good business practice doesn't happen more often. Brockner draws from various real-life workplace examples—from Jay Leno's departure (twice) from his TV show, to the improvement of shooting accuracy in the U.S. Navy, to the surprising results of layoffs in Canada. He also factors in a wide swath of studies to examine such issues as the importance of perceived fairness in the process, the management of organizational change, and the encouragement of a strong sense of self in those involved in decisions—in short, the ways that managers can bring out the best in their people. Relevant to anyone who is in a managerial position—from the CEO on down—The Process Matters proves that seemingly simple differences in process can go a long way.